We are excited to introduce the newest addition to our huge range, Global Colours Cake makeup utilizes a unique formula which delivers the beautiful, effortless creation of your desire. Global Colours has sourced only the highest quality pigments and additives to assure world class consistency, time and time again. Global Colours offers products with reduced toxicity and impact on the environment with a strong commitment to eco-friendly packaging. Global Colours produces the highest quality products without compromise and makes them available at the most reasonable price. 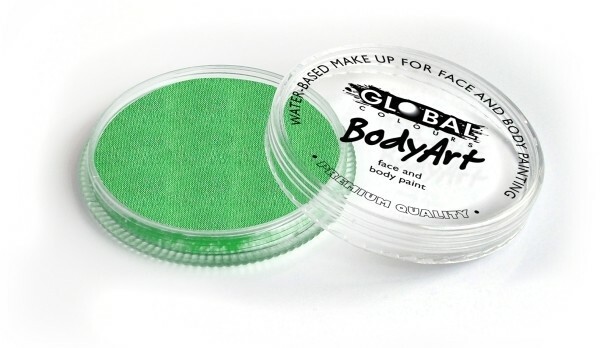 Global cake face paints are water activated. Just add a little water by means of a spray bottle and you are good to go! 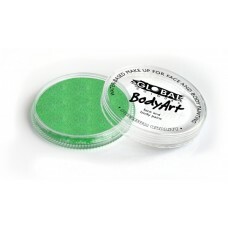 These gorgeous colours are vibrant and long lasting. To remove wash off with soapy water. Global uses special pigments to avoid after-effect staining as much as possible! Global Pearl Colours have a gorgeous shimmer to any design! We are sure you will love Global as much as we do!